Brow Lounge - San Diego's Best Brow & Beauty Salon Experience | ENJOY Lash Enhancement at Brow Lounge for an Introductory rate now through January 15th, 2019! ENJOY Lash Enhancement at Brow Lounge for an Introductory rate now through January 15th, 2019! 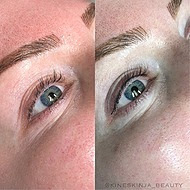 17 Dec ENJOY Lash Enhancement at Brow Lounge for an Introductory rate now through January 15th, 2019! Lash Enhancement Permanent Cosmetics has arrived and spaces are filling up! We want you to be the first to take advantage of our introductory pricing of $225. This includes your 8 week touch-up visit! Call us today to find out if you’re a good candidate for the latest in Permanent Cosmetics!